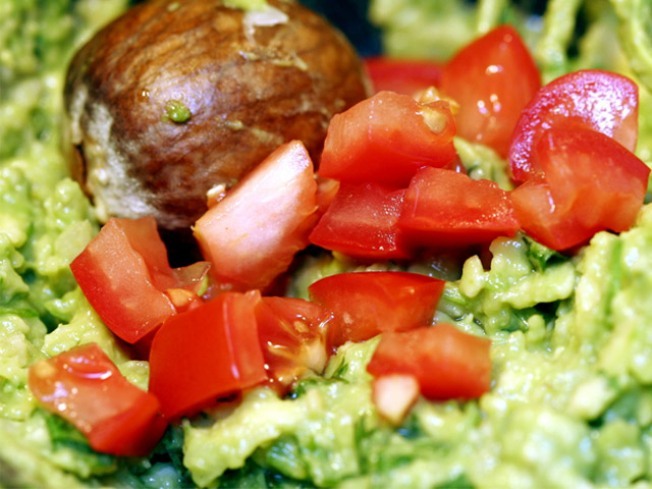 Twenty guacamoles compete for your tastebuds at the Guactacular. CHIPS AHOY: No fewer than 20 brave souls are prepping what they believe to be the Best Guacamole Ever for your sampling pleasure at Bell House’s Cinco de Mayo Guactacular, presented by Nachos NY, and sponsored by Dig Brooklyn, the skint, and more. Judges will be on hand from the likes of BUST magazine and Urlesque to crown the winning guac, but you won’t care—you’ll be too busy housing gratis Tecate and Dos Equis from 7-8 and shaking your pesos-maker to DJ Alex Meixner. 7PM. TILE STYLE: Kicking off this week at the Museum of Jewish Heritage is Project Mah-Jongg, an exhibition devoted to something your Grandma Sylvia in Palm Beach has known for years: This Chinese game has become a mainstay of Jewish-American culture. Soak up the fascinating history and gorgeous graphics of the game. MJH is open until 8PM on Wednesdays. MESMERIZING: If you've never had your senses schooled by the Hypnotic Brass Ensemble, get yourself to City Winery tonight. The seven-piece outfit from Chicago brings its funk-jazz-everything-else hybrid of awesomeness to a rare club gig that'll have your ears ringing (in a good way)—and will raise money for a good cause, too: Proceeds benefit the Sallie Foundation. 6PM.